ALBANY – When Hilda Rosario Escher visited her family in hurricane-ravaged Puerto Rico in November, the wreckage was almost too much to bear. “It was so disturbing to me what I saw that basically the news was not doing justice to what was going on there,” Escher recalled. “The top need has been housing. Many are looking for employment. 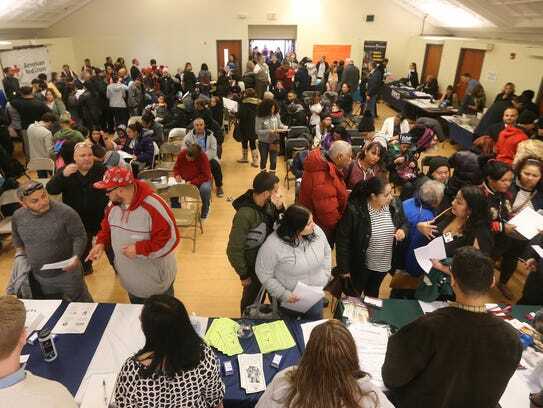 Most of the families we have spoken to that have come to relocate in the New York City area: They are planning to stay,” said Beatriz Diaz Taveras, executive director of Catholic Charities Community Services in Manhattan. Rochester’s Puerto Rican population grew from 21,900 in 2000 to 28,300 in 2015, census statistics show. The school district and local agencies “have done a great job working with these kids, to the point where I talk to kids now, and they don’t want to go back to Puerto Rico,” Rosario Escher said. In the classrooms of the Rochester City School District Bilingual Center, the students are surrounded by support and encouragement — from the bilingual teachers to the vocabulary translations on the whiteboard. Written on one, Miercoles, 14 Marzo 2018and under that, Wednesday, March 14, 2018. “What we did discover is that when the majority of the students came into our schools, we had to do a battery of assessments and see what their needs were,” said Binghamton Superintendent Tonya Thompson. State Education Commissioner MaryEllen Elia said the department put out guidance to the state’s nearly 700 school districts in October to ensure educators know how best to help and acclimate the students. “Your fight is our fight and whatever you need we are with Puerto Rico in this fight,” Cuomo said at a rally last month with Puerto Rico Gov. Ricardo A. Rosselló. Even before the hurricane, residents were leaving for New York and other states because of Puerto Rico’s struggling economy. “Families arriving in New York have already found some stability in the great resources we provide, but more will be needed as additional families arrive and require assistance to assimilate to their new communities,” Crespo, chair of the Assembly Puerto Rican/Hispanic Task Force, wrote along with Assemblywoman Pamela Hunter, D-Syracuse. 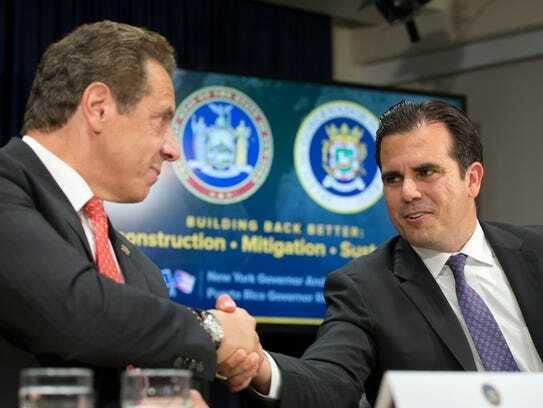 Crespo said he’s hopeful the money will be included in the budget for the fiscal year that starts April 1, saying school districts are facing new demands to help the Puerto Rican students. “The allocation requested above will ensure that our newest New Yorkers’ needs are met while ensuring a better transition to living in this great state,” he wrote.